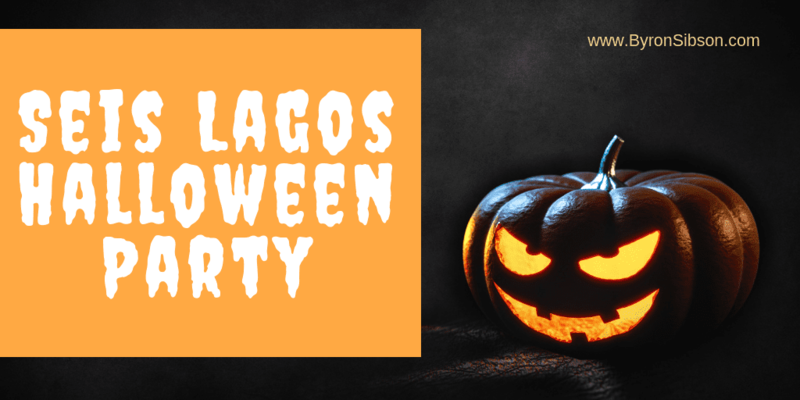 This year’s Halloween is right around the corner and the community of Seis Lagos is all about celebrating. This upscale, residential community is a warm and welcoming neighborhood in the midst of Wylie Texas. Their space, fresh air, great neighbors, excellent schools, award-winning security, and a plethora of activities and amenities for all residents and their guests. All of this is surroundings six beautiful lakes for our area to enjoy. Because we have such a full schedule of year-round activities, there’s something for everyone all times of the year. From Independence Day celebrations to Christmas lights, Santa parties and Easter egg hunts, there’s something for everyone and every age. Maybe it’s just a roving game of bunco or swimming class or tennis lessons, maybe you’re planning that special day and preparing for a wedding, family reunion, or milestone birthday or anniversary. Seis Lagos completes the package for all residents. I not only love this location but have called it my home for several years. It has a special place in my heart and I’m excited to tell you about this month celebration. October 27 will be our annual Halloween party. There will be face painting from 3 PM to 5 PM, a cakewalk from 3 PM to 5 PM, and our annual costume contest at 4:00 PM. Parents are responsible for their children at all times and there should be no unattended children or even teenagers at these events. This is not a drop your kids and go event. We want you to stay, interact with other residents and neighbors, and enjoy the community and festivities surrounding the harvest time of this year. But that’s not all that Seis Lagos has to offer. In addition to a beautiful landscape and an active social life, Seis Lagos also has a wide range of daily amenities such as a clubhouse with kitchen and pool room, card room, fitness facilities, six lakes perfect for fishing, kayaking, or canoeing, volleyball and tennis courts, playgrounds, hiking and walking paths, a staffed guard gated entrance, a swimming complex with three pools and a wading pool, and of course, a helpful staff on duty Monday through Friday from 8 AM to 4 PM. There’s even a community newsletter keeping you abreast of the latest activities, amenities, and changes throughout the community. So, we hope to see you at this year’s Halloween party on October 27 in the main clubhouse area. Bring the kids, bring your best costumes, and your party face and get ready to spook-out with your neighbors. How much are homes in Seis Lagos?